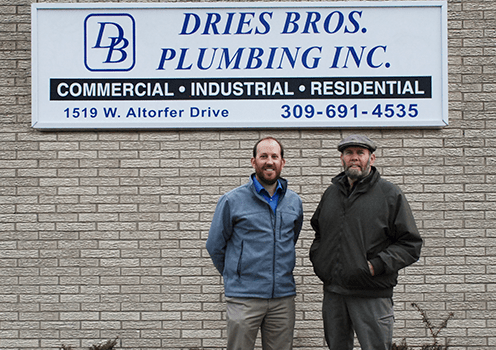 Dries Brothers Plumbing is a family owned business that has been serving central Illinois customers for over 80 years. We have prided our selves on providing the first class service and expertise for both our commercial and residential customers. We have prided our selves on providing the first class service and expertise for both our commercial and residential customers. We always work together to give all of our clients the best results possible. Big or small we get the job done. Our employee trucks come stocked with multiple items to ensure our ability to handle any problem you may have. We have certified plumbers on staff every day to ensure we complete each job safely.